Euro continues growing up, so we have to define new targets for the bulls, they’re at the levels of 50% and 61.8% (expansion). There are several more confirming levels near them. During a correction, I opened a short-term buy order with the target at level of 50%. 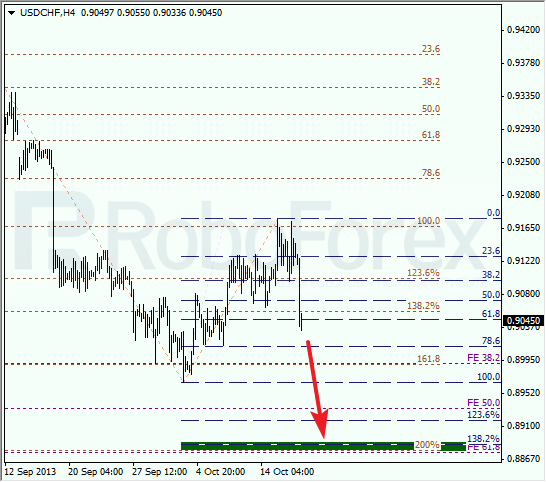 At the H1 chart, we can see that near the target area there is the level of 200%. According to the analysis of the temporary fibo-zones, the predicted targets may be reached by the middle of Friday. Franc made a reverse. There is a possibility that in the nearest future the pair may break the latest minimum. The main target is at the level of 61.8% (expansion), which is confirmed by several additional levels. 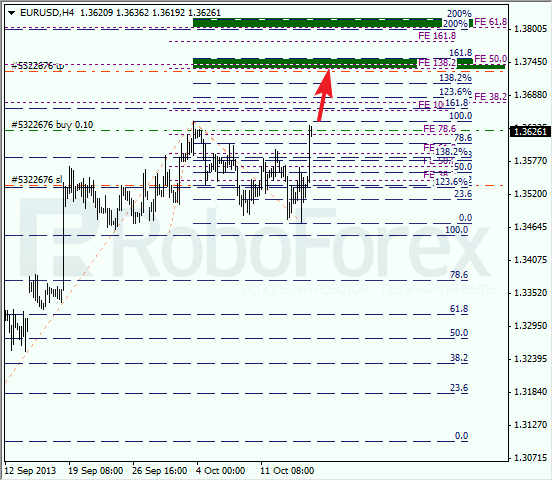 At the H1 chart, we have two temporary targets. We can’t exclude a possibility that the market may reach one of the intermediate targets during the day. Later, after a slight correction, the price may continue moving towards its main target and reach it on Monday.